"In its subtle and sophisticated fable of literary ambition, and the forms it can take for a young woman writer, Asymmetry is a “masterpiece” in the original sense of the word—a piece of work that an apprentice produces to show that she has mastered her trade. . . . Much more rarely do we hear this story from the young woman’s point of view. What’s so powerful and interesting about Asymmetry is that Halliday does not exactly undo that silencing; rather, she enacts it, and then explodes it." "Asymmetry is a novel of deceptive lightness and a sort of melancholy joy. Lisa Halliday writes with tender laugh-aloud wit, but under her formidable, reckoning gaze a world of compelling characters emerges. She steps onto the literary stage with the energy of a debut novelist and the confidence of a mature writer." "Masterly...As you uncover the points of congruence, so too do you uncover Halliday’s beautiful argument about the pleasure and obligations of fiction...It feels as if the issues she has raised — both explicitly and with the book’s canny structure — have sown seeds that fiction will harvest for years to come." ". . .turns the the staid world of for-profit law schools into a gripping thriller." 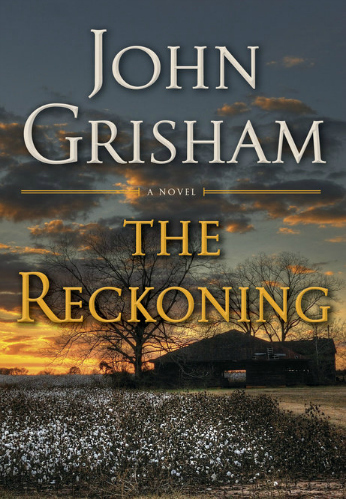 "Mr. Grisham’s tale is a thoroughly engaging, seriocomic caper that satirizes and exposes unsavory for-profit law schools, along with banks that exploit students with loans they’ll never be able to pay off, unfair United States immigration policies — and, for that matter, the entire legal profession in this country. . .wild, hard-to-put-down romp. It’s no surprise that the author’s writing should be brilliant, nor that his far-fetched plot is compelling from chapter to chapter. It appears light and funny, but his characters’ travails reflect those of a significant number of real-life American millennials duped by unscrupulous banks and businesses." "Superb and masterful...There are so many ways to read this beautiful novel: as a Greek tragedy with its narrative chorus and the sins of the fathers; as a Faulknerian tale out to prove once more that the “past is not even past”; as a gothic tale wrestling with faith, punishment and redemption à la Flannery O’Connor; or as an Irish novel in the tradition of Anne Enright and Colm Tóibín, whose sentences, like hers, burn on the page. But “The Ninth Hour” is also a love story, told at a languid, desultory pace and fulfilled most satisfyingly at the end." “"National Book Award winner McDermott (Someone) delivers an immense, brilliant novel about the limits of faith, the power of sacrifice, and the cost of forgiveness." "In this enveloping, emotionally intricate, suspenseful drama, McDermott lures readers into her latest meticulously rendered Irish American enclave...Like Alice Munro, McDermott is profoundly observant and mischievously witty, a sensitive and consummate illuminator of the realization of the self, the ravages of illness and loss, and the radiance of generosity... McDermott’s extraordinary precision, compassion, and artistry are entrancing and sublime...This is one of literary master McDermott’s most exquisite works." Should you quit your day job to follow your dreams? How do you rein in an overbearing mother? Will you ever stop dating wishy-washy, noncommittal guys? Should you put off having a baby for your career? Heather Havrilesky, the author of the weekly advice column Ask Polly, featured in New York Magazine’s The Cut, is here to guide you through the “what if’s” and “I don’t knows” of modern life with the signature wisdom and tough love her readers have come to expect. How to Be a Person in the World is a collection of never-before-published material along with a few fan favorites. Whether she’s responding to cheaters or loners, lovers or haters, the depressed or the down-and-out, Havrilesky writes with equal parts grace, humor, and compassion to remind you that even in your darkest moments you’re not alone. An enormous hand flowing with strange symbols is found in South Dakota by young Rose Franklin, who years later becomes a scientist and heads the team studying this unbelievable artifact. The hand is just the beginning as the researchers hunt for more pieces of what turns out to be an enormous alien robot-like construct. Through transcripts of interviews of those investigating the machine and a secretive man directing the work, we follow the discovery and assembly of the relic and the mystery of who left it and why. Rose and her compatriots are on the edge of unraveling history’s most perplexing discovery—and finally figuring out what it portends for humanity. But once the pieces of the puzzle are in place, will the result be an instrument of lasting peace or a weapon of mass destruction? The new collection from a "master of the form"
From the creator of the webcomic xkcd and author of the #1 New York Times Bestseller What If?, brilliantly annotated blueprints that explain everything from nuclear bombs to ballpoint pens. Food-heating radio boxes (microwaves); Tall roads (bridges); Computer buildings (datacenters); The shared space house (the International Space Station); The other worlds around the sun (the Solar System); The big flat rocks we live on (tectonic plates); The pieces everything is made of (the Periodic Table); Planes with turning winds (helicopters); Boxes that make clothes smell better (washers and dryers); and The bags of stuff inside you (cells) Funny, interesting, and always understandable, this book is for anyone—age 5 to 105—who has ever wondered how things work, and why. City on Fire is an unforgettable novel about love and betrayal and forgiveness, about art and truth and rock ’n’ roll: about what people need from each other in order to live…and about what makes the living worth doing in the first place. For a moment, things seem to be under control for the soldier known as Breq. Then a search of Atheok Station's slums turns up someone who shouldn't exist - someone who might be an ancillary from a ship that's been hiding beyond the empire's reach for three thousand years. Meanwhile, a messenger from the alien and mysterious Presger empire arrives, as does Breq's enemy, the divided and quite possibly insane Anaander Mianaai - ruler of an empire at war with itself. Anaander is heavily armed and extremely unhappy with Breq. She could take her ship and crew and flee, but that would leave everyone at Athoek in terrible danger. Breq has a desperate plan. The odds aren't good, but that's never stopped her before. Argued with the force of Kasparov’s world-class intelligence, conviction, and hopes for his home country,Winter Is Coming reveals Putin for what he is: an existential danger hiding in plain sight.